Whether you run a business or a household, you might need help with your finances from time to time. 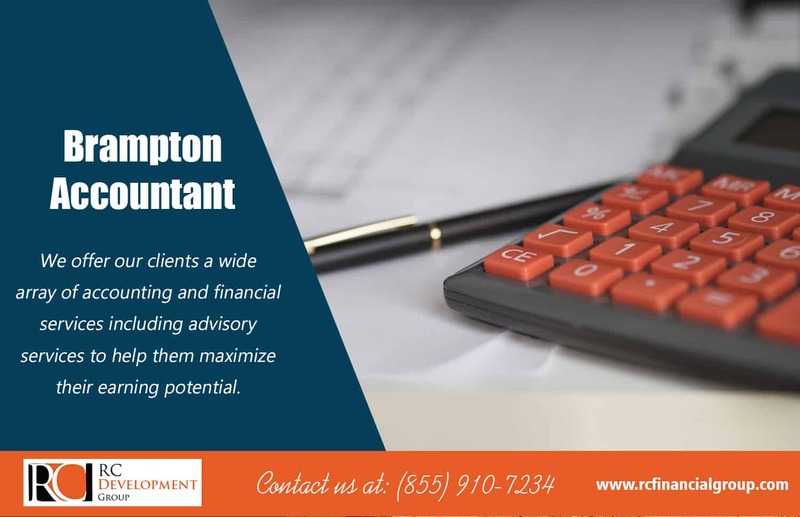 Think about the ways that an accountant can help you before you decide whether to hire Brampton Accountant, whether for your taxes or as a business consultant. For those who are not good with numbers, or do not enjoy working with them, an accountant may be the best option. If this describes you, but you are not sure how exactly one could help you, it may be time to find out. Whether you own a business or run a household, there are likely times when having a professional help you with your finances is a good idea. One of the most common reasons to use an accountant is to prepare your taxes. While some people find this task easy to perform, others are somewhat frazzled when it comes to tax time, especially if there are various deductions and exemptions involved. You can hire a professional to do your taxes from start to finish, in which case you provide the necessary facts about your financial situation. You can even use this type of business to check your work when your work completed. You also might have questions throughout the year when it comes to finances. While you may not have the funds to hire an accountant full time, it may be good to have someone to consult when you have questions. Thus, utilizing a financial consultant for your company is probably a wise idea. If you have at least one employee, you need to do payroll, which requires time. If you do not have the time, or perhaps do not know about payroll programs, you should hire someone experienced with this task. This will allow you to focus on growing your business instead of dealing with numbers, which allows you to make more money in the long run. You can hire a full-time employee to do this job if you have a lot of people on the payroll, or get someone to help you out when you need it. Whether you own your own business or are merely head of your household, you might need help getting your finances organized. An accountant can help with this task, allowing you to focus on your life without risking significant mistakes involving your investments. Thus, it may be time to start looking for a professional who can help you out in your city. The present times have seen the businesses growing in complexity as well as tenor. It is essential that the people who are the decision-makers in any organization can keep a close eye on the movement of their finances. And it is also necessary that the people who are in charge of the accounts of the organization are the ones that have the requisite talent as well as the attitude to do the job that is demanding as well as challenging on many occasions. The accountant services have assumed proportions that are now unmatchable and can never be rendered redundant. There are various fields of accountancy that have helped to channelize the services that are required from an accountant. Another thing that is worth noting is that accountant services are the ones that the entire company relies upon and thus they have to be done in the most reliable ways. The accountant who has been hired to take care of the finances of the organization should be the one who is honest in his approach, have a lot of integrity, and is full of confidence to be able to interact with the people belonging to the higher echelons. The qualification that is needed to be in the accountant services is at least a bachelor’s degree in accountancy, some years of relevant job experience, excellent communication skills ( both verbal as well as written), presentation skills, and the ability to handle a large amount of data as well as information. It is essential the people who are into accountant services are the ones that are capable of showing the real picture of the company’s finances to the decision makers. They must be individuals who do not wither under pressure from the internal managers or anybody else to manipulate the financial reports of the company.